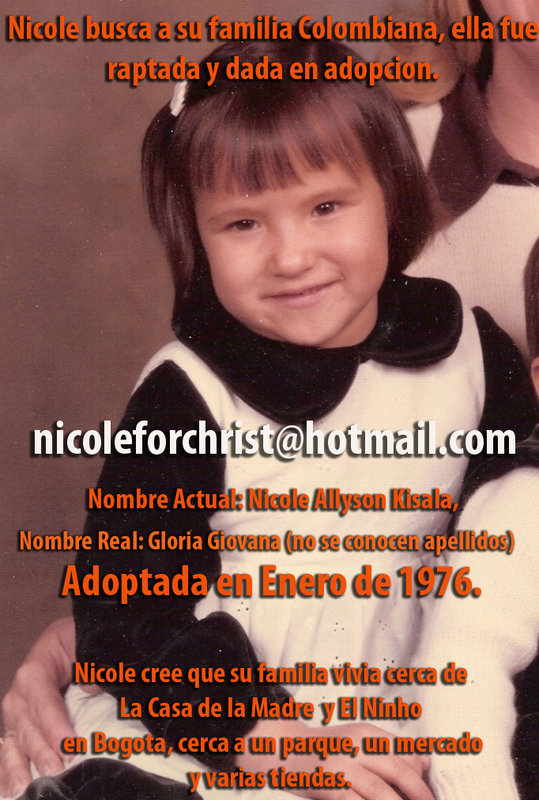 Nicole Kisala was kidnapped 36 years ago from Colombia and put up for adoption in the United States. She was not given any information about her biological family. With just a few vague memories, she contacted the See Colombia Travel blog hoping for help. Through their blog posts and social media accounts they spread the word among thousands of followers and managed to viralize Nicole’s story. Thanks to this overwhelming support, Nicole eventually found her biological family in a small, underprivileged neighborhood on the outskirts of Colombia’s capital, Bogotá. Nicole Kisala could remember little of her childhood in Colombia. She could recall her mother’s long, black hair; she remembered the dimple on her dad’s chin; she could also vaguely bring to mind the last conversation she had with her older brother before she lost sight of him. It was at this moment that Nicole was approached by a woman in black, who held her hand and took her away. She was never told her name, or anything of her family. She was kidnapped, and then adopted by a loving family in the United States. This was 36 years ago when she was 4 or 5 years old. This year Nicole decided to try and trace her family. In her quest she contacted a travel blog based in Colombia that she had found online. That blog was Marcela’s Colombia Travel Blog, a blog run by one of the fastest-growing online travel agencies offering Colombia Tours, See Colombia Travel. During the 1970s to 1980s kidnappings of disadvantaged children in order to sell them to adoption agencies was a common phenomenon in Colombia. During the search for Nicole’s family, the Colombia Travel Blog found several similar cases of Colombian adoptees without ties to their natural families. The chances of Nicole being successful were indeed slim. The blog team was hopeful, but wary of having too many expectations; Colombia is a large country, and Nicole came from a humble family somewhere near or within Bogotá. Her family worked on a small cart that sold soda and lunches to locals. 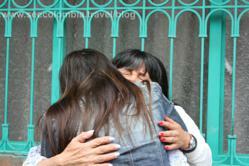 Nicole and the Colombia Travel Blog knew that the likelihood of her family having internet access was low. Nonetheless, social media has been changing the way we live for years now. Thanks to the growing popularity of blogs people are becoming connected in unprecedented and unexpected ways. Harnessing this connectivity, the Colombia Travel Blog released a series of posts, which they then shared with their followers on Facebook and Twitter. They viralized images, videos and stories, reaching thousands of people all over the world. The online response was overwhelming, eventually finding Nicole on international TV. The Colombia Travel Blog shared Nicole’s spot on television, reposted it online and was subsequently contacted with the crucial lead they needed. Nicole’s parents had split after the kidnapping, unable to bear the pain. Her father had taken her brother to Venezuela, and it was in Venezuela that a relative saw the story online and contacted Nicole’s biological brother. He contacted Nicole using the contact details on the blog’s viralized image. The journey of Nicole has been captured by French television, and will be the basis of a documentary released later this year. It is also set to become a book. Indeed, Nicole’s is an incredible story. It’s one that demonstrates the power of travel blogging, digital media and the potential of our online world. It shows that despite the billions of dollars spent on big companies such as Google, Twitter, Facebook and YouTube, the online world really comes down to creating human connections between people. A travel blog about Colombia has managed to show that, for people like Nicole, blogs, social media and the internet aren’t just changing the way we live; they’re changing lives.